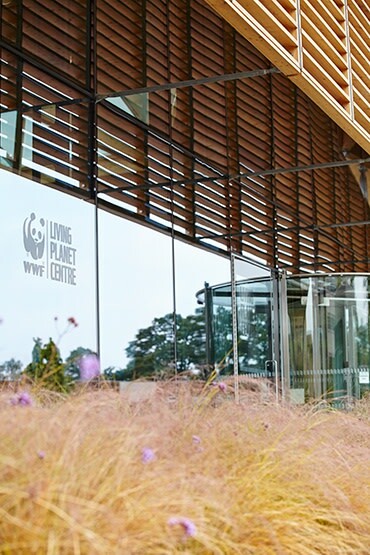 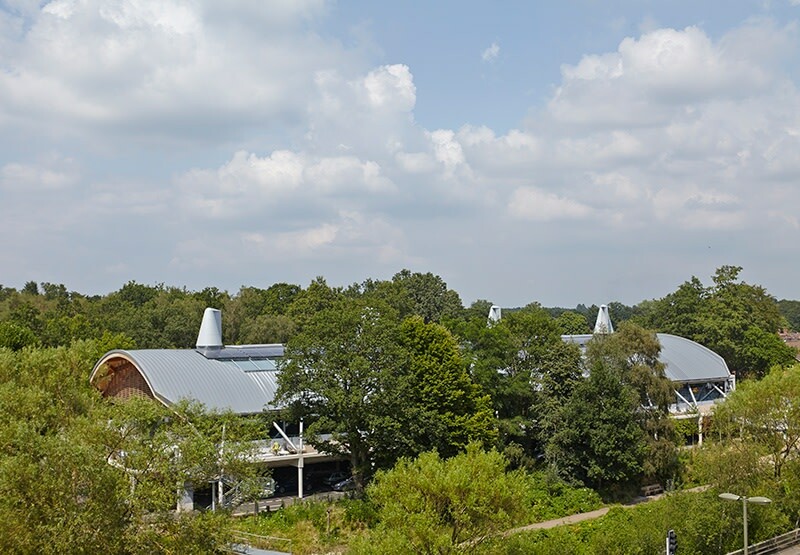 The site for the new Living Planet Centre, which is located within the Town Centre, sits alongside the Basingstoke Canal and the brief required that the existing public car park at ground level be retained. 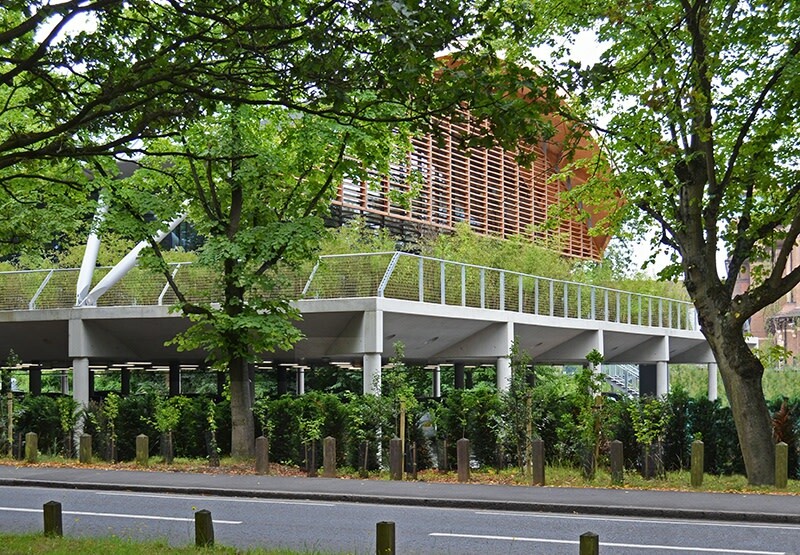 The new building sits on a raised in-situ concrete podium, whose perimeter has been planted with shrubs, trees and flowers. 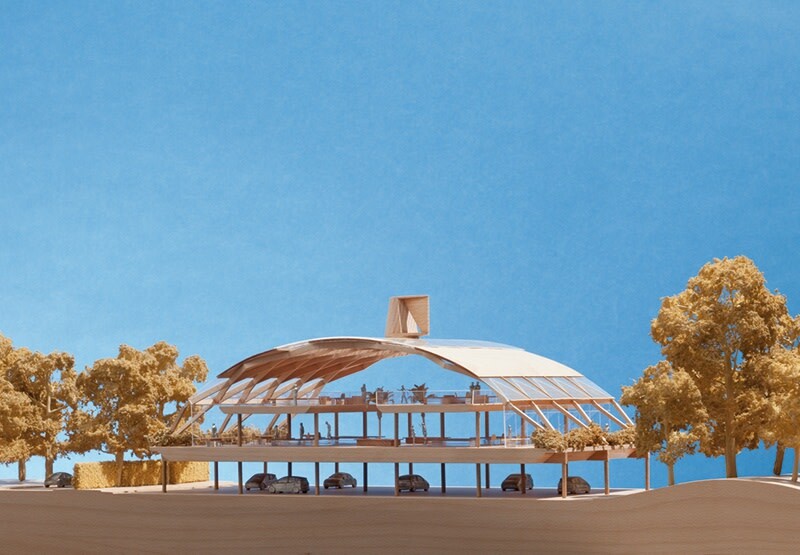 A new bridge from the town centre leads to a public piazza at podium level, connecting through to an internal public exhibition space. 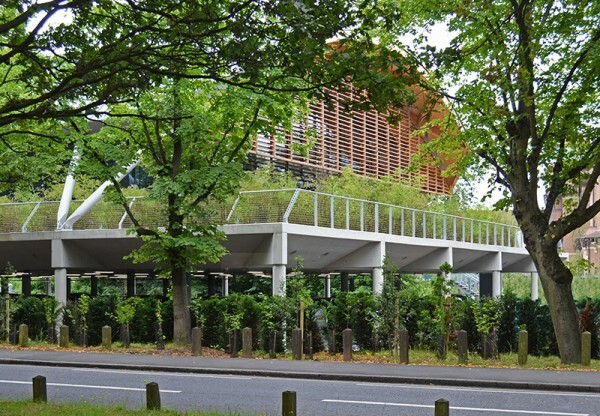 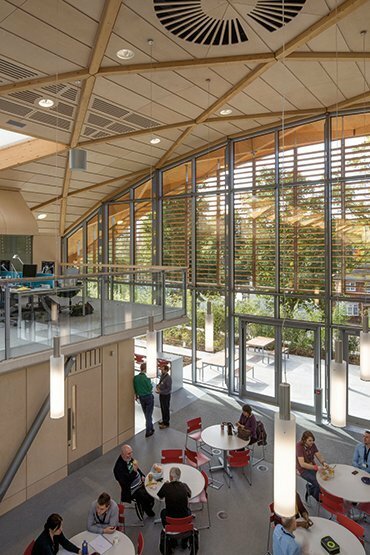 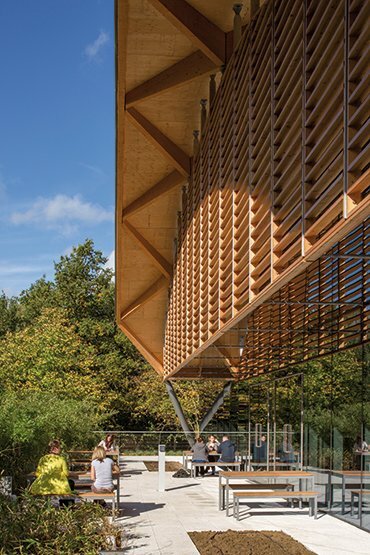 The accommodation is arranged over two storeys and serves as the headquarters for WWF-UK. 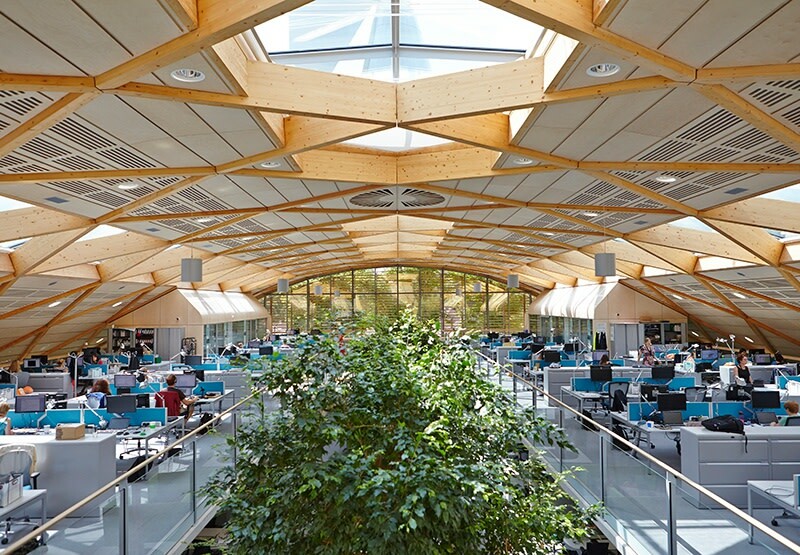 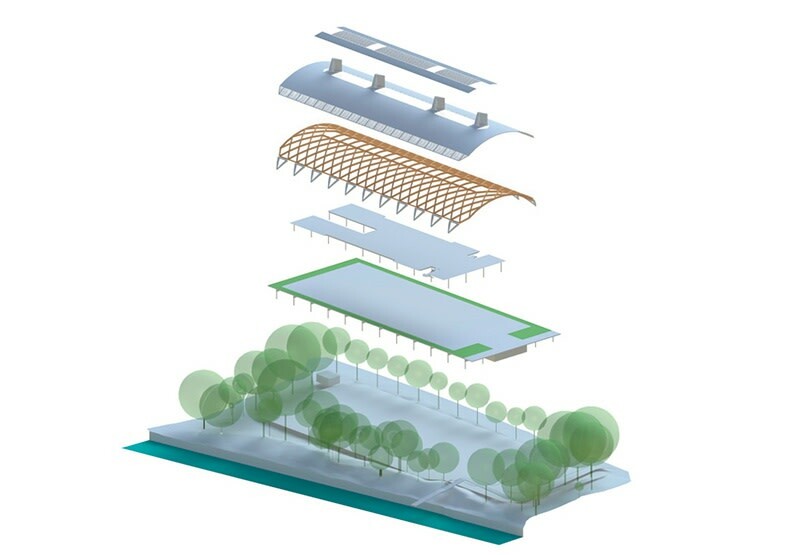 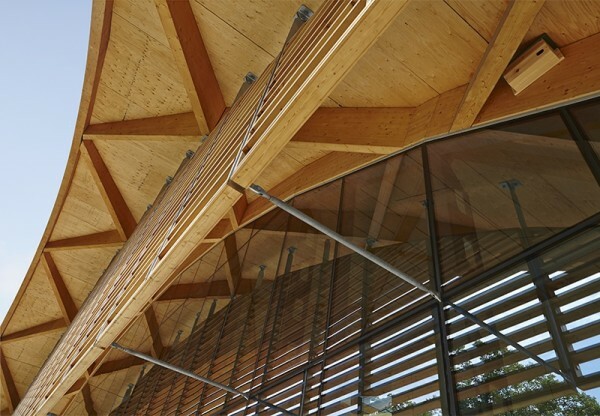 The 80 m long curved timber gridshell spans 37.5 m, providing long-term flexibility for WWF. 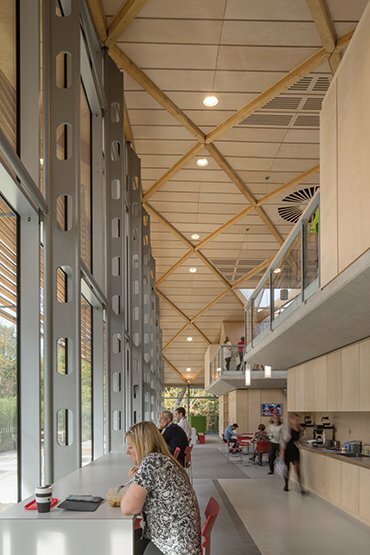 The building houses an open-plan workplace for some 300 staff, a 150 seat conference venue, education support facilities and the WWF Experience exhibit. 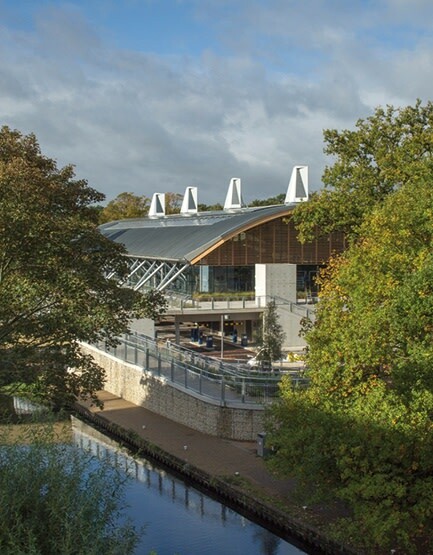 At ground level, the existing trees have been retained and a new wetlands area created to provide a wildlife corridor from the Basingstoke Canal to Horsell Moor, enhancing the public realm onto the canal. The design for the headquarters aims to maximise on-site sustainable features and has been awarded the BREEAM Outstanding rating. 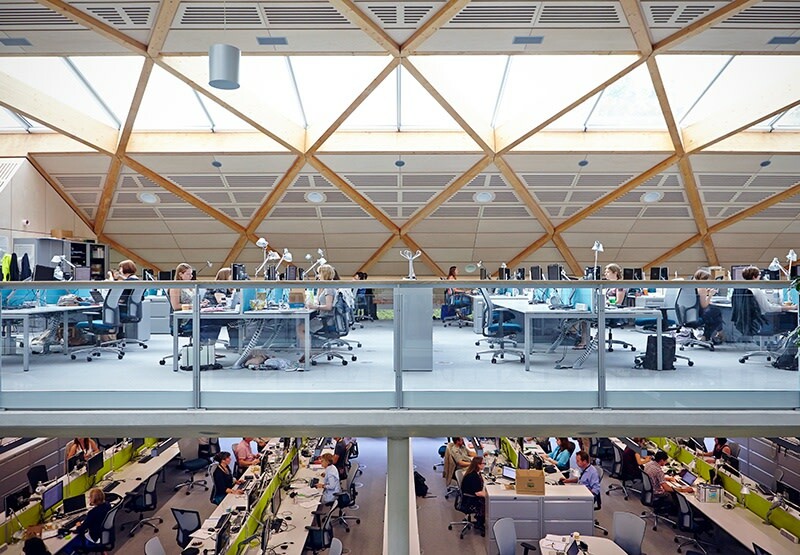 Hopkins have also provided interior design services throughout the project.